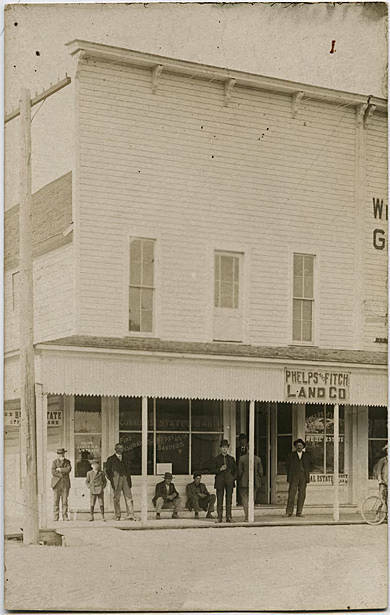 Sepia-toned image of a building with several men and a young boy standing in front of it. The boy wears a nice suit with short pants and stands next to a distinguished looking man who also wears a nice suit. The business appears to be both a bank and a land office, offering 4% interest on savings, fire insurance, and real estate loans. 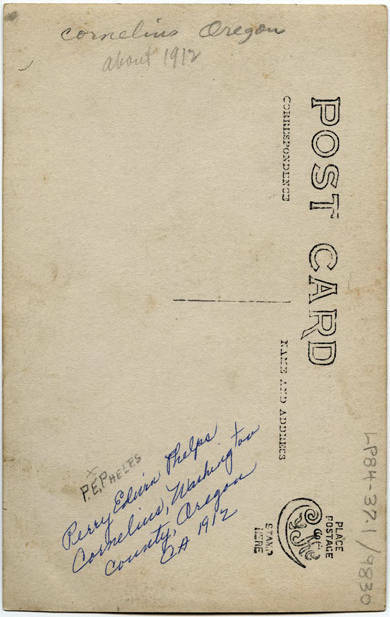 [back] [pen] Perry Edwin Phelps, Cornelius, Washington County, Oregon. CA 1912. [pencil] Cornelius, Oregon about 1912.